Retail sales across four Gulf countries are projected to increase by more than $24 billion over the next five years, with the UAE expected to lead this trend with an estimated growth rate of 16 per cent, according to new research from Euromonitor International. 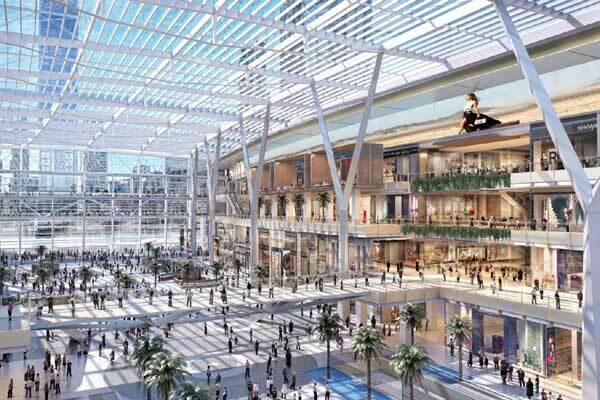 The report reveals that Kuwait, Oman, Saudi Arabia and the UAE are all set to capitalise on the rise of consumerism thanks to favourable demographics, a rise in population and a strong growth trajectory in tourism and per capita income. The figures have been released ahead of The Retail Summit, set to take place on February 13 and 14, at the Atlantis Hotel, in Dubai, UAE, gathering 800 of the world’s most prominent retail leaders, industry stakeholders and experts. The two-day summit, to be held under the patronage of HH Sheikh Mohammed Bin Rashid Al Maktoum, Vice President and Prime Minister of the UAE and Ruler of Dubai, has received prestigious endorsement with the support of Meydan One, which joins Dubai Chamber of Commerce and Industry as an event partner. The research indicates that the retail industry in the UAE is currently worth $55 billion and is forecast to steadily rise to $63.8 billion by 2023. Store-based retailing will continue to dominate, accounting for $52.7 billion of the overall market in the UAE, however, non-store retailing, which includes online shopping, direct selling, mobile internet, social media and home shopping, will grow by 78 per cent from 2018 to 2023. The value of non-store retailing is also forecast to increase across all four Gulf markets between 2018 and 2023, with Saudi Arabia expected to account for the biggest growth of 93.5 per cent, followed by Oman (68 per cent) and Kuwait (48 per cent). “A strong contributor to the growth of the sector is proactive initiatives taken by the government in streamlining the retail infrastructure and strengthening the investments and tourism landscape of the region,” he said. “Keeping up with this trend, the brick-and-mortar retailers are expected to gradually adopt the omni-channel business model to establish an intuitive and smart communication with consumers across online and offline platforms,” he added. “The needs of consumers have changed and today’s shoppers desire an engaging, personalised and streamlined experience. This is what we bring to the market, delivered through careful learning to tailor-make what the consumers, the international retail community and all involved stakeholders want,” he concluded. The summit will bring together a new generation of retailers who are delivering a winning combination of outstanding service and ground-breaking use of technology to deliver memorable shopping experiences. More than 800 attendees are anticipated and the event has been designed for global CEOs and senior teams, bringing together the retail community’s brightest minds to examine the latest thinking of how to win in today’s hyper-volatile landscape.